Haaaahahaha I think you are completely within your rights as a pregnant woman to kick their asses. Just saying. You're wonderful and beautiful and amazing, just FYI. Oooh, goodness. I agree with Sarah - kick their butts! What jerks. So not cool. I'm sorry, Lauren. 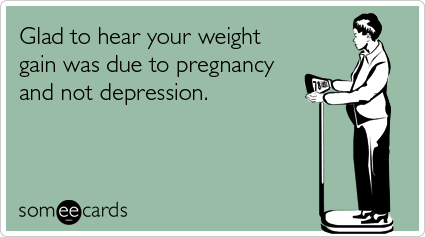 It's amazing how insensitive people get when you become pregnant. It's amazing. I'm sure you are looking soo cute as a new pregnant lady.